Accomplice: Australian Women’s Weekly, in a special Banana Cook Book, which may, or may not, have been advertorial. Yeast Dough: Sift flour and salt into bowl, add sugar. Dissolve crumbled yeast in warmed milk, add beaten egg. Stir yeast mixture into dry ingredients, blend well. Cream butter and work it into the dough. Cover bowl and stand in warm place 40 minutes or until doubled in bulk. Press dough into 9in. pie plate or on to base of 9 in. sandwich tin. Filling: Peel and slice tomatoes. Soak anchovy fillets in a little milk ½ hour; drain. Heat oil in frying pan, add chopped onion and oregano fry 2 to 3 minutes. Place tomato slices in centre of dough. Arrange peeled and sliced bananas in a ring round edge. Spread tomato paste over them. Sprinkle with fried onion and grated cheese, arrange anchovy fillets on top. Bake in hot oven 30 minutes. Serves 4. 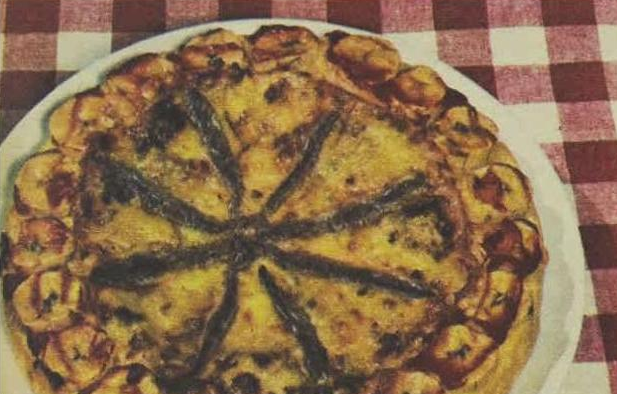 Banana Pizza, a new variation of this popular dish, combines the good flavor of bananas with cheese, tomatoes, and anchovy. Verdict: You can make the presentation as pretty as you like, but once you’ve spread bananas with tomato paste you’ve gone rogue. The banana pizza is guilty of badly imitating an already dubious trend – that of combining fruit with savoury ingredients, as well as claiming such a concoction to be edible. Sentence: Rehabilitation. Get rid of the fish, cheese and tomato paste, replace with nutella, chuck bananas on top of it and call it a dessert pizza. Not traditional, but, unlike the previous incarnation, actually pretty delicious. “Banana Cook Book.” The Australian Women’s Weekly, 25 February 1970, 127. Motive: With 97 – 100% saturated fat, surely it’s to make more of us have heart attacks. And sell more copha. And sell more Deb Instant Potato Flakes. DOUGH: Place Copha, salt and boiling milk into a basin and stir until Copha is melted. Mix through Deb Flakes. Cool. Beat in egg, then flour and form a dough. Knead lightly on a floured board, divide into six portions. Press out each portion of dough thinly until it is 5” diameter. Place onto greased oven tray. Spread with topping and decorate with anchovy fillets, sliced olives and cheese. Bake in a hot oven (500°F, electric, 450°F gas) for 15 minutes. TOPPING: Place tomato, tomato paste, salt and herbs into a saucepan. Heat together for 3 minutes, cool. Verdict: Guilty of six counts of perverting the integrity of pizza – use of Copha, use of Instant mashed potatoes, use of the words “Real Italian Pizza”, calling the recipe “Neapolitan pizza”, incorrect spelling of pecorino (picorino) and claiming the dish to be “delizioso”. Sentence: Chocolate crackles should not have to pay the price for this crime so the sentence is suspended on condition of never seeing Copha claiming a place in a regional Italian recipe ever again. Or any recipe outside of chocolate crackles and white Christmas, for that matter. “Real Italian Pizza made in minutes – with Copha!” Australian Women’s Weekly, 24th April 1968, p 64. Vita Brits Pizza - A criminal act? For too long now, the pizza – that most humble of Neapolitan inventions – has been the target of overzealous recipe writers, “creative” chefs and idiot advertising types who think it is best made with canned dough and served with teriyaki sauce, chicken, pineapple, and both fetta and cheddar cheese. 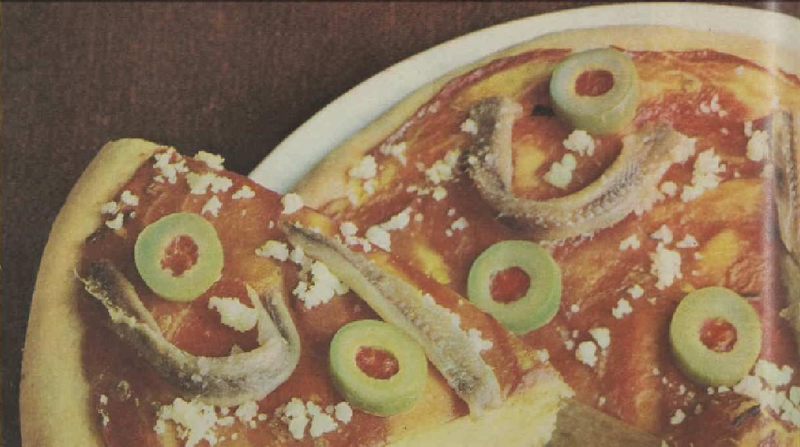 While there have been many moves to defend the pizza, mostly from Italians concerned that their culinary heritage is being destroyed, little has been done to name and shame the worst perpetrators of these horrifying and indecent acts. Over the next few weeks, this special Lamingtons & Lasagna investigation promises to open cold cases where the rights of the pizza were trampled over, its victim impact statement never heard. Until now, that is. 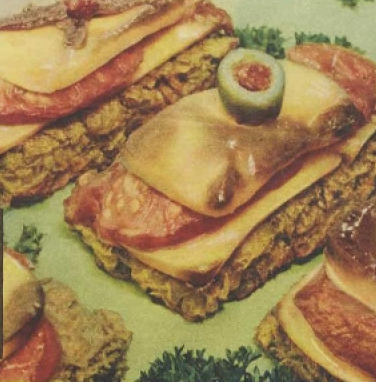 While Lamingtons & Lasagna does not advocate a return to culinary luddism – where what was authentic was sometimes even deadly – the “pizzas” in this series have jumped the shark, or, as the kids these days might say, nuked the fridge, from imaginative interpretations to crimes against cuisine. Motive: There’s only so much money a company can make selling breakfast food for breakfast. But if they give you “delicious, new round-the-clock recipes” which mean you can enjoy “different and delicious luncheon or supper treats”, then they can make a lot more money. 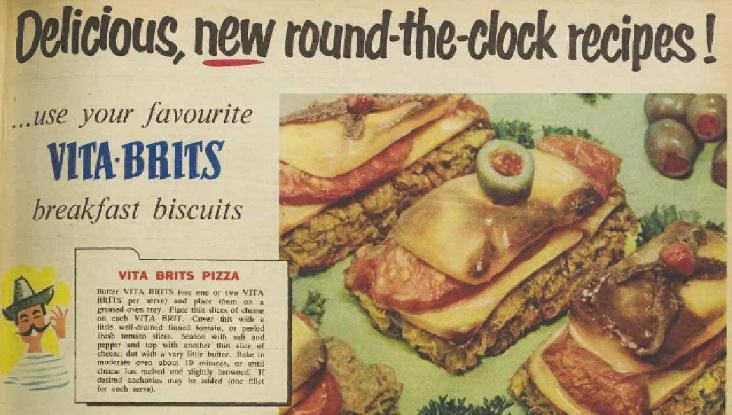 Sentence: Never eat Vita Brits again (which is fine, because I prefer Weet-Bix anyway). “Delicious, new round the clock recipes.” The Australian Women’s Weekly, 15 October 1958, 75.